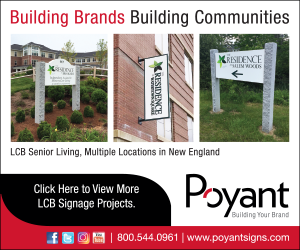 Boston – BOND recently announced the promotions of Anthony “Tony” Bond, as president and Kane Cuddy as COO for the company’s Civil & Utility Division, that presently operates in Massachusetts, Connecticut, Rhode Island, New Jersey and the newly opened Bronx, NY office. . They bring more than 30 years of experience to the company. and will play an important role to continue developing business. As civil & utility president, Tony Bond is responsible for the strategic direction and long-term growth of the division. He is a fifth generation Bond, having grown up in the construction industry and with many years of hands-on construction experience concentrating on complex projects for power & energy clients, as well as clients in the academic and corporate spaces. Cuddy has been with the firm for more than 15 years, with previous roles including vice president of operations, vice president of civil infrastructure, director of operations and project manager. Some of his projects include the Middletown-Norwalk 345kV Underground Transmission Line in Connecticut, the Hoosac Wind project and the NSTAR Newton-West Roxbury Cooling Line.